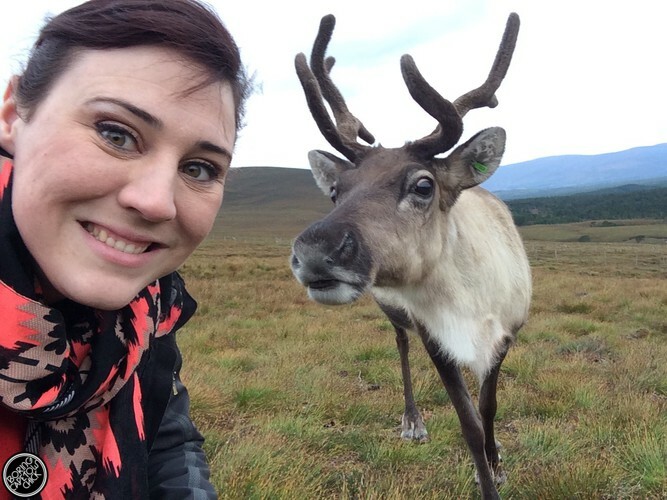 Petting Reindeer in the Cairngorms – Got the Passports? 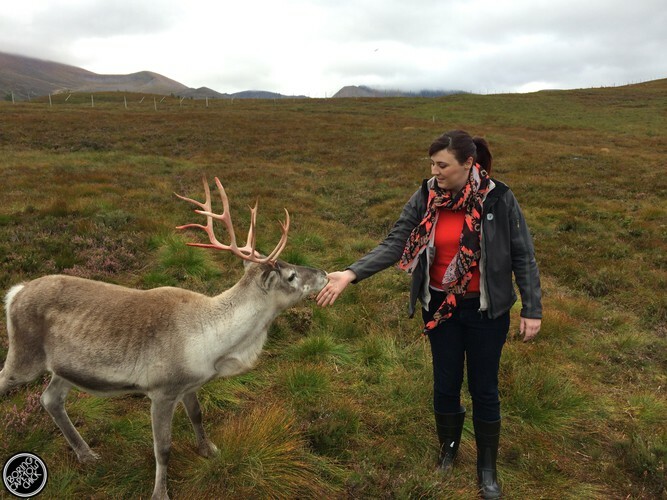 The first time time I visited my friends in Scotland they offered to take us up the mountain to feed the reindeer. Because we had already gone snowboarding on that trip, I was a little anxious to overspend too early in the trip and declined. But I promised to do it next time and that’s exactly what we did. 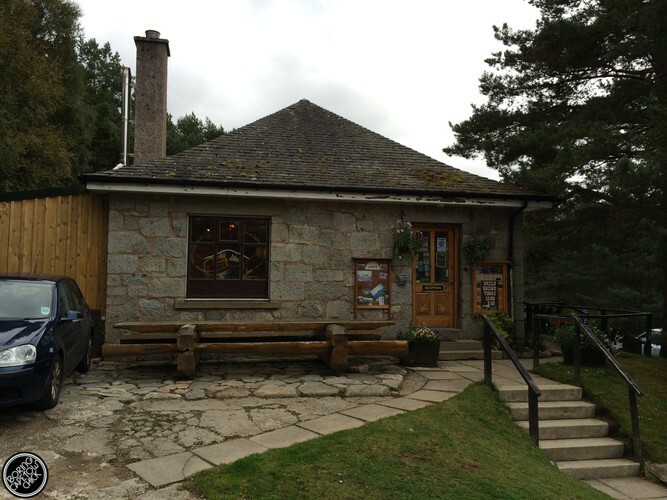 The day started with a quick visit to the Cairngorm Reindeer Herd visitor centre, which is just a short drive from the northern, skiing town of Aviemore. The store offers a brief history and a few curious for sale, which was informative but easily acquired. 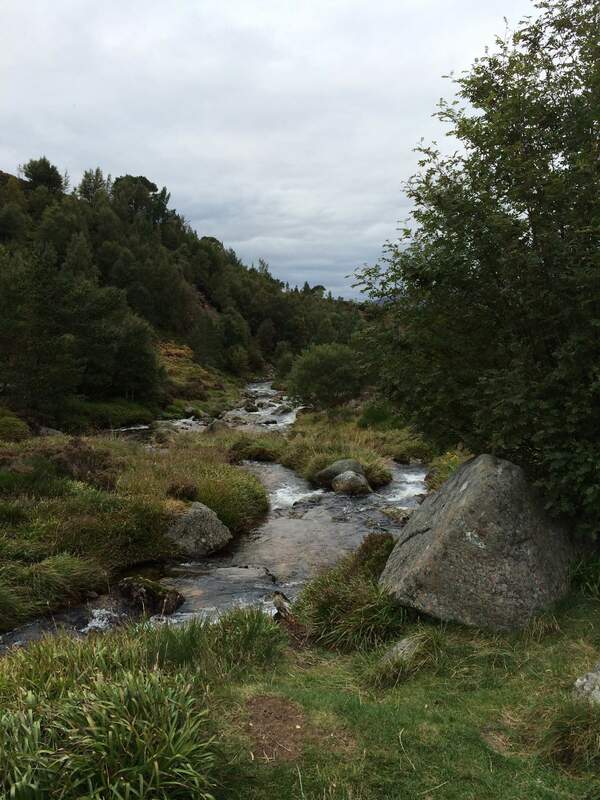 We all met at the start of the hike and our tour guide took us on a short walk into the mountains. It was surprising that we managed to get so high up without much effort. 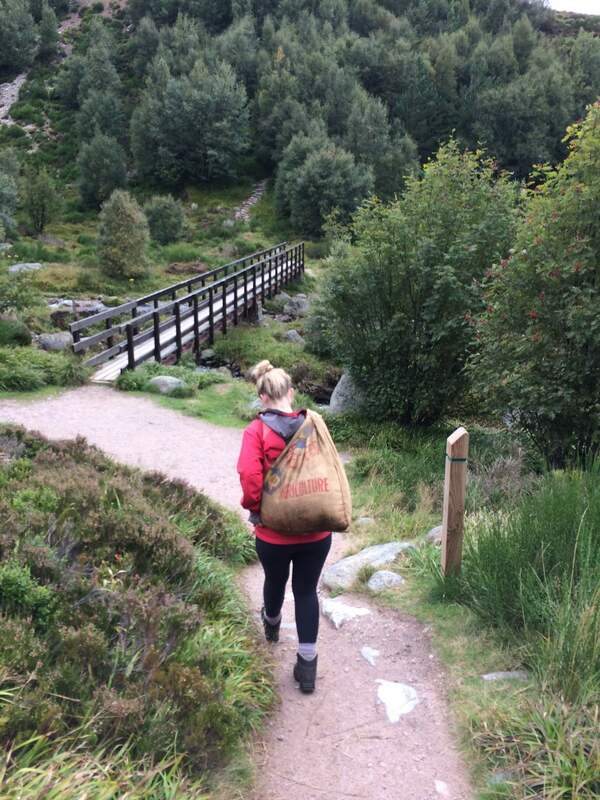 We crossed a mountain brook, passed crazy, cool red mushrooms (Royskopp) and took a few mountain stone steps in the Scottish brambles. 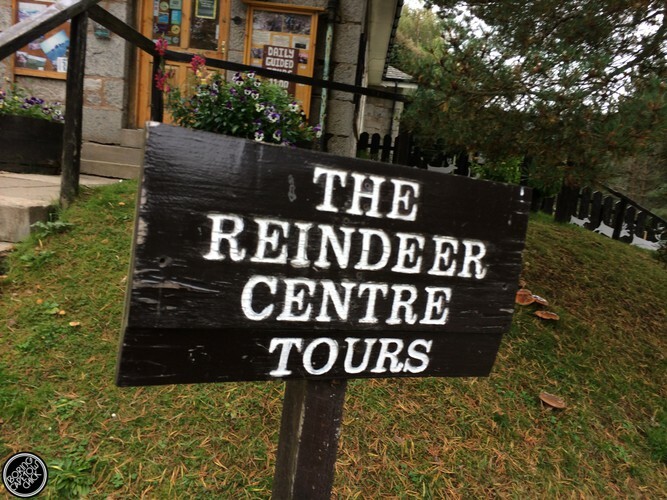 We easily reached the mountain side and took a moment for our guide to teach us about reindeer. 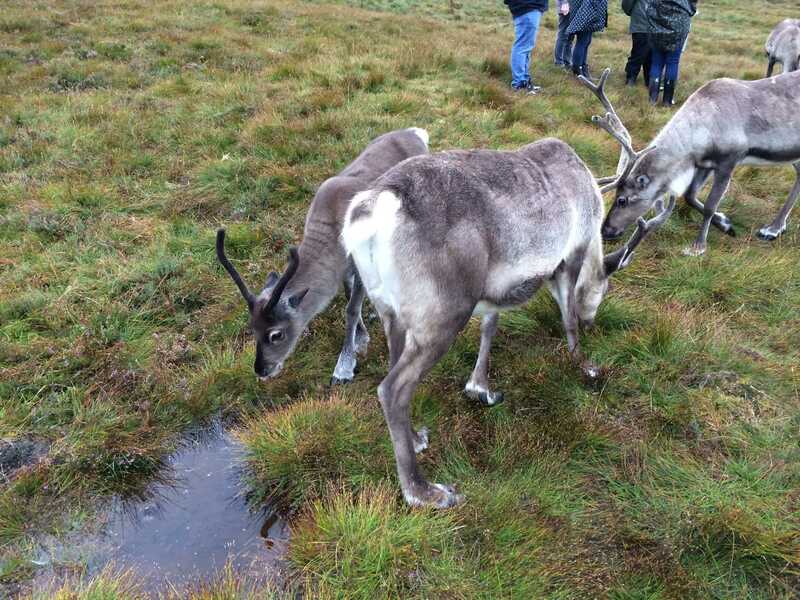 The Cairngorm reindeer have been roaming freely since 1952 having been reintroduced back into Scotland by a Danish reindeer breeder who believed the environment would be perfect for them. 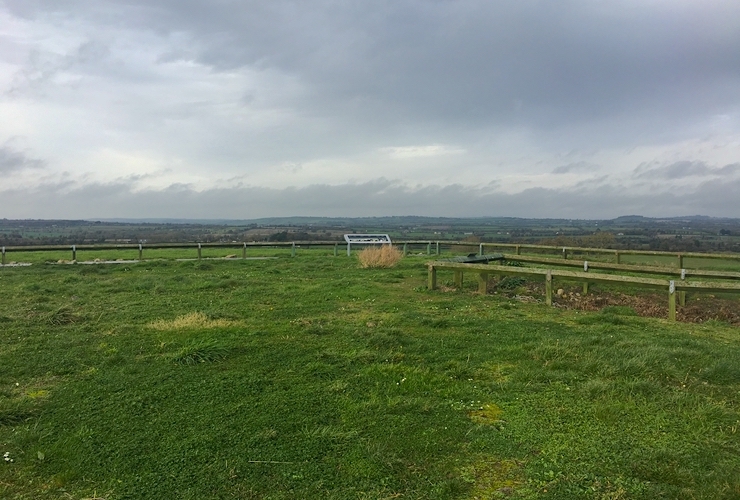 Because there are no natural predators in the area, their breeding is closely monitored and controlled. Fun Fact: Reindeer knees click (like when you stand up! ), which is used as a hearing mechanism in a snowstorm, and assists in staying together. 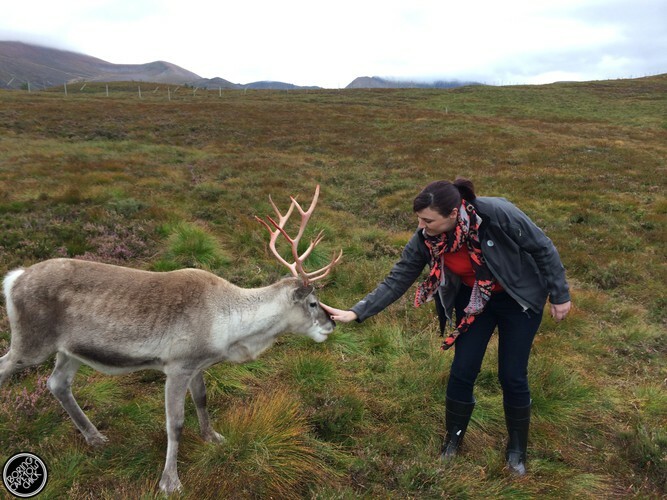 Our guide shook the treat bag and the reindeer came running all the way down from the top of the hill! Reindeer are a lot smaller than I had imagined! I mean, aren’t they meant to pull sleds for heaven’s sake! These guys were below waist height which I didn’t expect. They have REALLY sensitive horns. Do not touch them on their horns! We were warned. Their coats were super thick! This may seem obvious, but coming from a warm climate country, I had never really thought about the texture of the fur and just what that would look it. It seems as if they have layers of fur that keeps them really warm. They don’t have any front teeth! This is great as there’s little risk of being accidentally bitten. Eventually we made our way back down the hill and I was sorry to say goodbye to the reindeer. Upon our return we popped into their paddocks and saw little babies. They are SO cute! They look just like plushy toys! 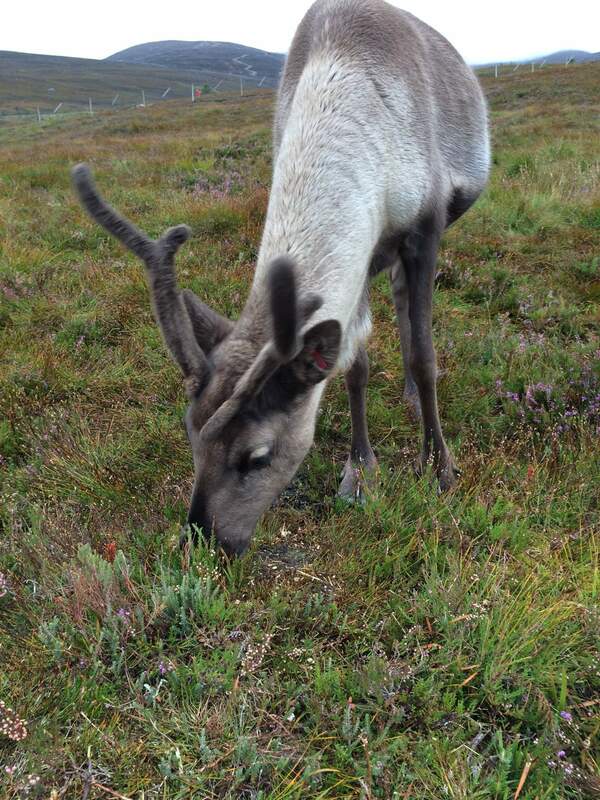 It was absolutely brilliant seeing the reindeer up close, definitely something ticked off my bucket list. I highly recommend you give it a try, I’m sure kids would love it just as much as the adults, if not more! There is a daily trip up the mountain, weather dependent. We visited in mid-spring so there was no snow nearby, however, in winter there is a lot of snow that affects the trips. Example from the Facebook page below!